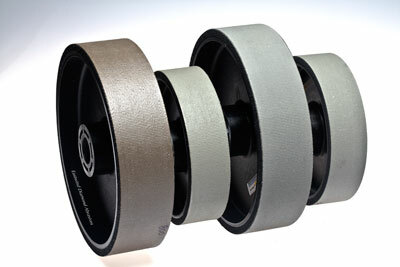 This product consists of a hard plastic hub with a layer of foam between the hub and belt. 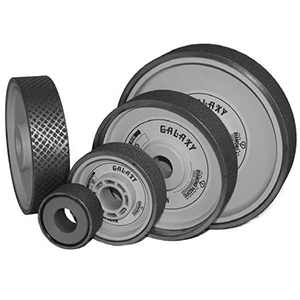 This wheel performs aggressively, with a slight drape to eliminate scratching and flat spots. It is a value packed alternative to other wheels on the market. They are excellent for sanding and polishing and produce excellent finishes with a high concentration of diamond. 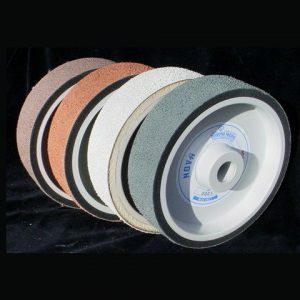 Flex wheels are excellent for coarse sanding and polishing gemstones. Must be used with water.